In every way we're suddenly living in a time where I actually can't watch every great TV show on the tube anymore. That's alright. Competition breeds better shows and the ones that fought for my attention and won are therefore exhibited here. Here are the Top Ten shows for the year listed in the order of when I thought of them, which is as good an order as any in sorting a slew of disparate programs. One of my favorite freshman shows returned after a stellar first season and gave us everything we could dream of and more. It's such a nice feeling when a series builds on everything that made it great, gets more comfortable with the characters, and amps everything up without overstretching its reach. Broad City is also possibly the most New York show ever while also being the most Millennial show ever. The fact that it sheds what could be an easy descent into liberal pretentiousness in favor of unrelenting goofiness is a small part of what makes it great. 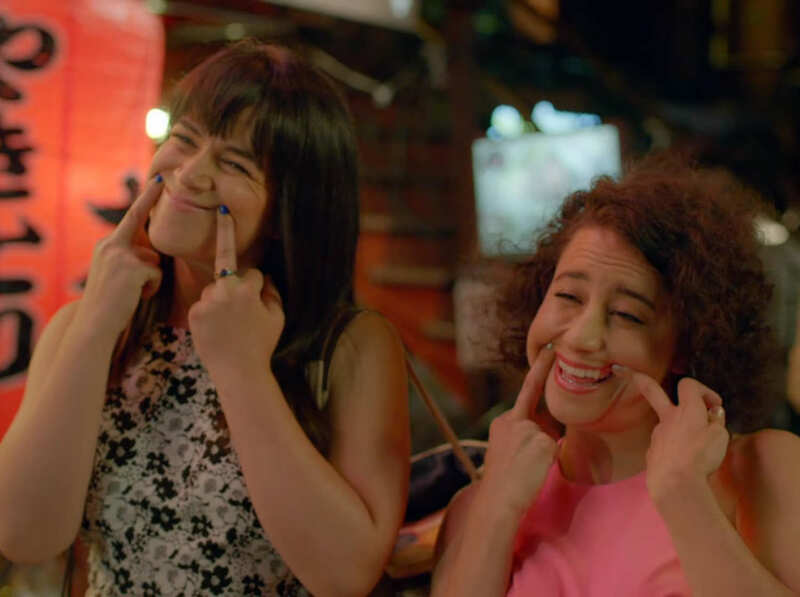 Abbi, who seemed like the quieter influence of the pair got to step out of her shell this season, and the best episodes came when Ilana is suddenly trying to keep up with her. A lot of review sites have posited this - but the successful tale of Fargo the TV Show as opposed to Fargo the movie (1996) is endless and incredible. I'm not sure any relationship this year is as compelling as the tug and push between Lorne Malvo and Lester Nygaard last year, but the plot this time around is much more focused, even with one alien saucer to throw things off in the penultimate episode. 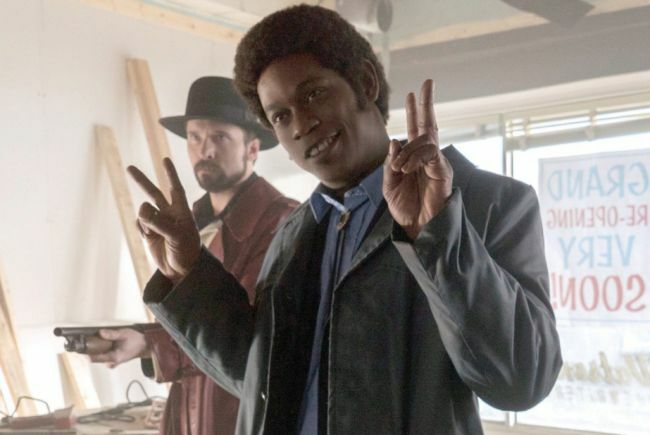 There's not a better shot or directed show on television, though, and Bokeem Woodbine's Mike Milligan is suddenly the best character on TV. Here's another unlikely candidate for a great TV Show - the prequel spin-off of one of the best dramas ever, Breaking Bad. Prequel spin-offs always seem like terrible ideas, right? Better Call Saul works the same way Fargo does: less interest in call backs to the source material and more interested in drawing inspiration to tell an entirely new story. In Fargo's case the only remaining threads are largely location and tone. 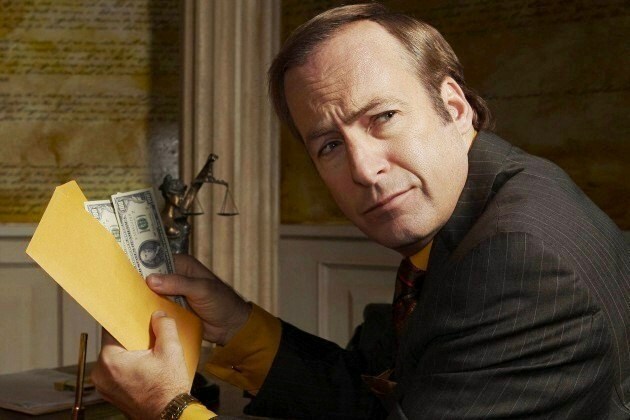 in Better Call Saul's case, all we have to go on are characters, which don't even feel like a tether mostly because Bob Odenkirk hasn't even taken the name Saul yet. The show was somehow the best when it forgot about Saul entirely and focused on the history of Mike Ehrmantraut, which is a character we didn't even know we cared about. Gonna put this out there - there was not a better show this year than Rick and Morty. I'm not ranking these, but if I was, this would be #1. There's an eternal silliness at play here that masks a deep dark sadness. The show is best when the mask is ripped off, however, and its barren darkness is laid bare for everyone to see. As you can imagine, this happens quite often. Despite its insanity, science is magic who cares tone, and shock value, there's actually quite a bit of authentic character growth in Season Two. Of course it ends on a cliffhanger, and is totally meta about it. There's a balance of self-awareness that works here even better than Dan Harmon's other show, Community. 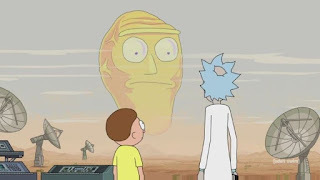 The Justin Roiland component, though, pushes everything weirder, and that's when it really kicks into gear. What other show would be featured here on its 19th Season? Certainly not The Simpsons, which had a wretched Season 19. 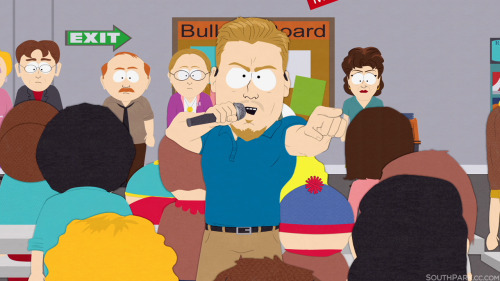 South Park hasn't gotten enough love this year, possibly because it's just been around so long we tend to forget how good it is, but it's remained on its toes more than ever, mostly due to its ability to cut through modern issues faster and with sharper satire than anyone else around. As I click through ads, deal with PC culture, and even experience the price gauging of gentrification my mind wanders more to this season of South Park than anything else on TV. I'd say in their second attempt at a season-long arc the ending didn't come together and relate as well as it could have, but the ride was unreal. Also in terms of "need to pause the TV and laugh" moments this year, no show was higher. My total guilty pleasure show of the year, there wasn't a Network show bolder than Scream Queens which relished its campiness and pushed its characters towards more intolerably obnoxious levels. Queens swung for the fences on every single episode and balanced comedy and terror like nothing I'd ever seen before. With the final killer revealed I'd like to take a look back and see if it all adds up, but I'm not sure how well it'd work with the lessened suspense. Chad Radwell gets my vote for the second-best new character of the season - endlessly moronic, misogynistic, charismatic, and supremely confident, Glen Powell devours every scene he's in, creating the perfect foil for the biggest girl power show on television. I wanted to specify Season 1, because when it returned in the Fall for a full pick-up I'm not sure it's maintained the same edge. 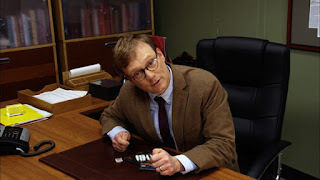 Every episode in the spring brought some new unbelievable challenge to overcome, and of course Will Forte's Phil Miller is completely inept at dealing with anything. It's great that Forte finally has a baby to call his own after a stint on SNL that was relatively forgettable outside of MacGruber, Fart Face, and Potato Chips (see, chances are you've never heard of those sketches, or you have and can't stand them), and a movie career that's been insane at best. Phil Miller channels his weirdness among one of the best casts outside of Brooklyn Nine-Nine in a show where anything can happen at any moment. 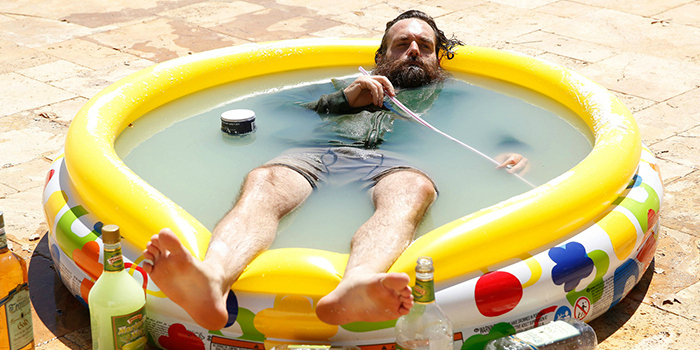 Just look at Season Two's mid-season finale. Maybe it hasn't been so bad. This show is basically Aziz Ansari's version of Louie, and while that seems like it would be derivative, it's still somehow totally awesome. Aziz is such a positive dude and his energy is infectious as he uses a loose platform to discuss racial stereotypes, generational and cultural gaps, dating, and relationships. It's incredible because Aziz goes so small here, finding little life moments to ponder instead of big broad laughs that even Louie swings for once in a while. This is probably the most under-the-radar show on this list, and I started watching it mostly because I was too lazy to change the channel after repeats of South Park. I had seen the first season a bit, but was never really interested in the premise and didn't pay attention to it much. It was usually on in the background while I was writing or doing something else and I never cared. Slowly but surely, though, with each passing week I was watching Review more and more. By the last three episodes I was totally into appointment viewing. Andy Daly displays a ridiculous range as the hapless Forrest MacNeil who is simultaneously pathetic yet bound to his duty working for the fictional TV show for some reason. The rules applied to him don't make sense and as his personal life unravels and the show gets super dark while maintaining a comedic edge. 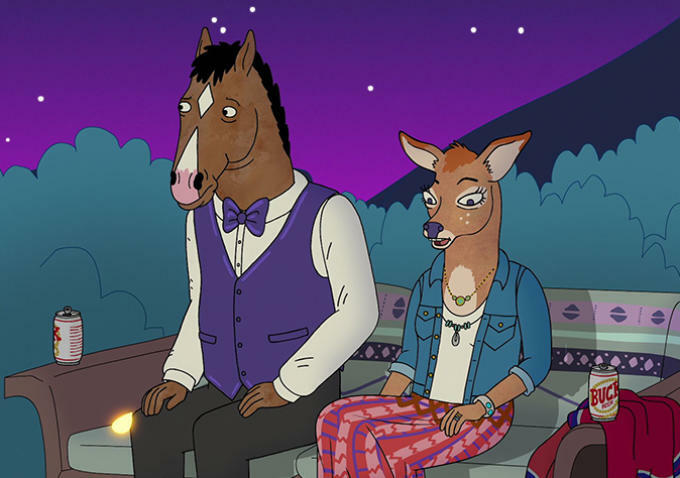 As soon as BoJack Horseman found its groove the second half of its first season it hasn't taken its foot off the gas. It keeps growing and mutating until it has become the funniest look at depressed failed lives since You're the Worst. It's unrelenting, yet also features zany animal people doing animal things. It takes its insane characters seriously, though, and harbours no fears towards lurching them through the most painful situations possible, although most of it is their own fault. Its Hollywoo industry satire feels fresh, which after dozens of meta movies from Bowfinger (1999) to Birdman (2014), is an impressive feat. Last Week Tonight with John Oliver I should have talked about this one. It's nice to see out of all The Daily Show alumni, including those on The Daily Show itself, John Oliver has crafted the greatest show of the lot, wisely understanding that leaning into longer, more thoroughly researched pieces would enamour and not alienate a young, intelligent audience. Sense8 Hardly anyone is talking about Sense8 and it's probably because it was one of the most self-indulgent shows out there, but if every episode was 40 minutes instead of an hour...damn we'd have a lean show. The final episode when everyone finally comes together is the best, and there's absolutely plenty of potential here.